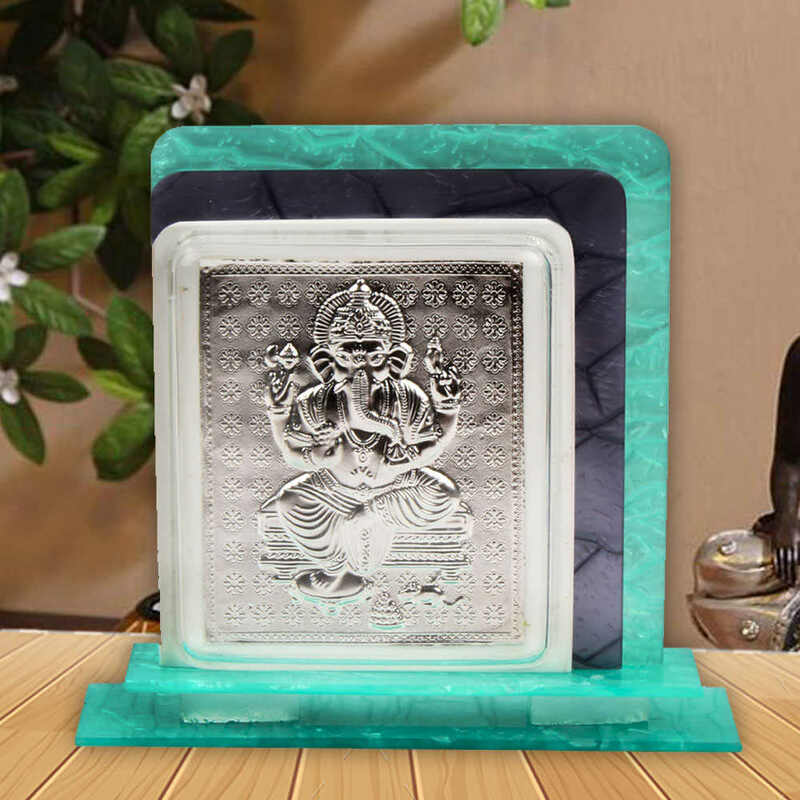 Product Consists : Table Stand Acrylic Frame with Silver Plated Ganesh. 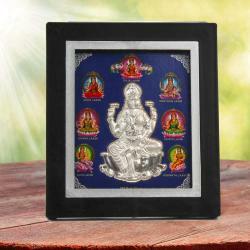 People usually gifting an idol or image of Shri Ganesh at house warming ceremonies and at any party/ceremony held at the beginning of a business/venture. 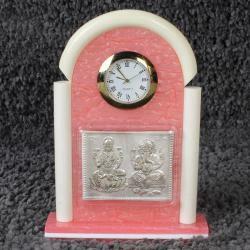 Auspicious Ganapati created to perfection in the form of a splendid Silver color Idol with Table stand. This holy sculpture embellishes the ambience with its distinct charm spread by the outlandish artwork portrayed by his head and four arms carrying his favourite ladoos, a lotus and other important things. 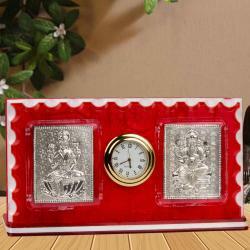 Product Includes : Silver Plated Acrylic Lord Ganesh Square Table Stand Frame.